With the overwhelmingly positive reception that Virtual Reality has received throughout past year or two, it is no surprise that many are already thinking of VR headsets as a gift possibility. A compelling favourite among holiday buyers, it is certain that it will make a happier person of anyone who receives it. Nevertheless, it is not an easy purchase as the options are many and differ in consoles, interfaces, and characteristics. 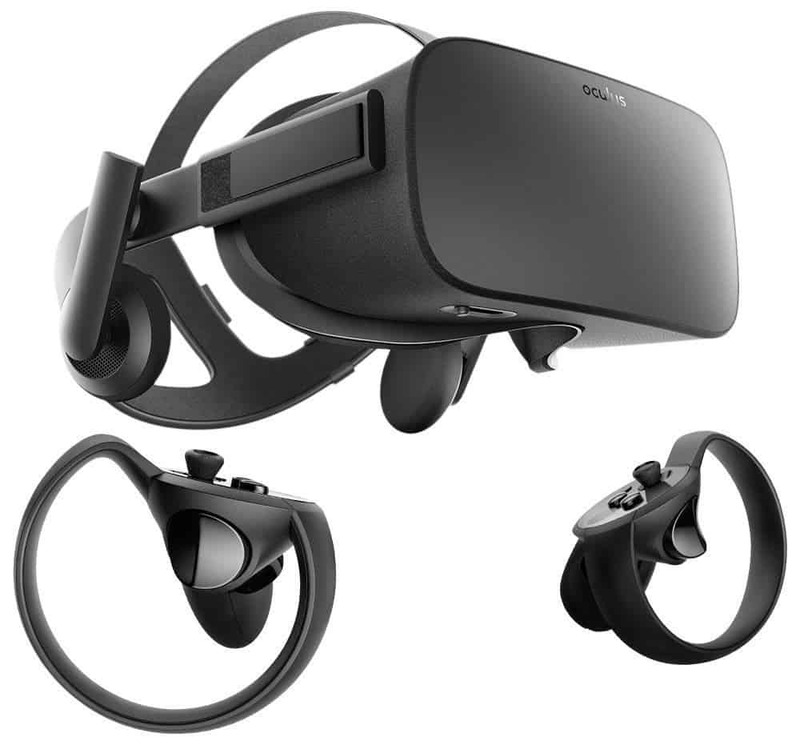 This VR headset guide aims to give you a hand in selecting the best models for each type of gamer as well as having a solid idea of how much you will need to spend what you’ll need to buy if you want to get a one for someone’s birthday or anniversary. This well-known VR headset was one of the first to hit the market a couple of years ago and is still a top seller because of its amazing features. The Oculus Rift can be bought directly from their website or on Amazon, for £399. For the same price, you can get it with two touch controllers that will help the user activate actions in those games that require it. The controllers on their own, called Oculus Touch, cost £99. Oculus is compatible with PC only, which is why you have to make sure that the user owns a PC that meets the requirements to run the main software, apps, and games. If they don’t, you can always go to the Oculus Ready Program, where you can choose from several PCs that the company has partnered with to be sold equipped for Oculus VR use. Among these, you can find the ASUS VivoPC X, which can be bought starting from £799, and the CyberPowerPC Gamer Ultra Desktop that costs around £749. Notice that these desktops DO NOT include keyboards, monitor or mouse, so you can whether use the ones you already own or add them to the price. The setup of the Rift is quite easy. It comes with two movement sensors included that you will have to place close to the desktop but in general, it doesn’t require much more than connecting several USB cords and the HDMI cable. The installation of software is a one-click matter, nothing more. How Much Fun Can You Have with it? You cannot imagine how immersive the Oculus Rift until you try it. 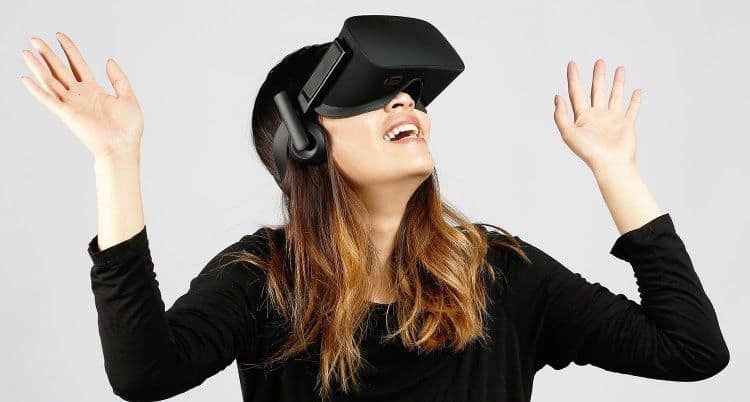 It will absorb the gamer into the Virtual World, where they will want to spend hours, especially because of the incredible range of games that you can get directly from the Oculus store. Minecraft, a multi-player sandbox game, completely free! 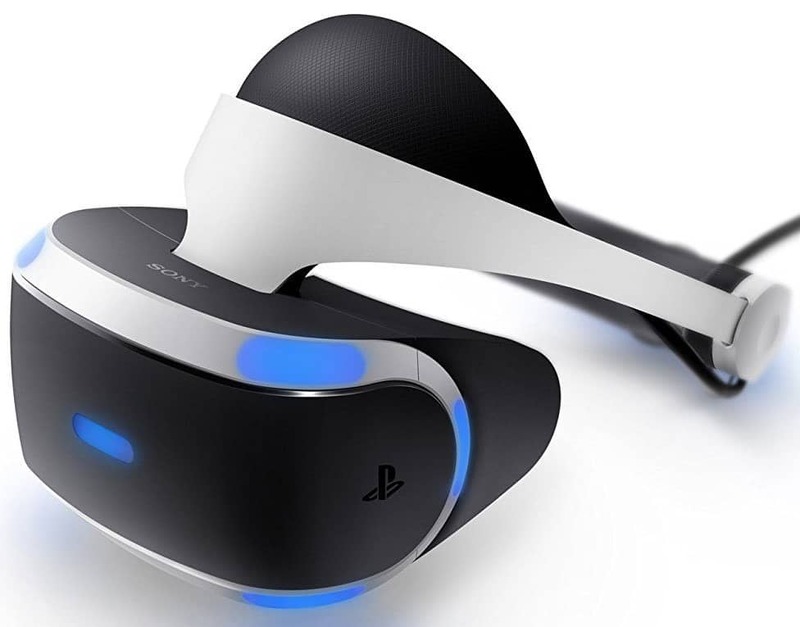 The PSVR, recently upgraded with minor improvements, is a definite must for those who like to keep their video games in consoles and away from their PCs (although there’s a way to connect PSVR with PC). PlayStation is an all-time favourite and, now with the Virtual Reality door wide open, it is an excellent gift choice. The PlayStation VR Headset can be bought at any retailer or on Amazon for £277. It includes the processor unit as well any necessary cables and stereo headphones. However, Sony has several deals like this one where, for £299, you can get a box that also brings the PS4 camera and the Gran Turismo Sport game included. Some PS games require the Move Motion Controllers, which are sold for £90.99, and if the user does not already own a PlayStation console, you will have to get one as well. Only PS4 and PS4 Pro models work with the VR Headsets. These cost £288 and £399 respectively. We recommend getting the PS4 Pro as it is a recent upgrade. The setup of both the console and the VR Headset can be done in less than 15 minutes. You will need to set up the PlayStation itself if you don’t own one, the Camera, and then the VR Headset. Remember that you will need a TV that supports HDMI to play games. The PSVR has a great design that offers comfort and quality, and it will allow the user to immerse in a world other than the one we live in. The graphics are superb, and gamers have stated that the gadget is definitely worth buying and playing with! As for what you can play with it, you won’t get anything better than PS video games, which you can buy from their online store. Lastly, we have VR Headsets for mobile users. Because Android and iOS are not both compatible with all headsets, we pick one for each system according to the user’s favourite. Daydream is a wonderful VR Headset created by Google that costs only £99 and can bring an incredible amount of fun. 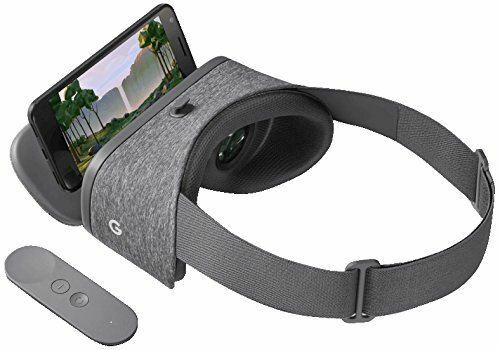 Because Google is a pioneer in VR, you have uncountable games and videos to enjoy on the headset, and they will only keep adding more and more! The Daydream is made of soft, breathable fabric which makes it super comfortable, and it brings the controller, which permits you to take action on the games. If you don’t own a VR built phone, you will need to get one of those as well, which range from £599, as this ASUS ZenFone AR, to this Samsung Galaxy S9 that costs £719. 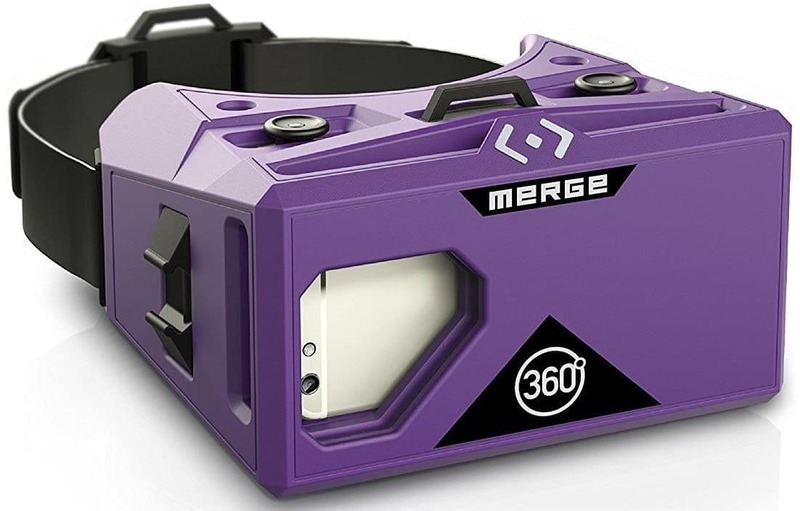 Finally, because some like iOS better, we chose the Merge VR Headset, which is among the best options that are compatible with iPhones ranging from the 6S, which costs £449, to the latest releases such as iPhone 8 Plus, that can be bought for £799. Numerous free games that you can find on the Apple Game Store App! Find out what type of gamer is the person that you’ll be buying the VR Headset for. If they like to be on the mobile phone, it’s best to get a mobile headset. However, if they already own a PS4 but not the PSVR, there will be no better gift than that. There are many free games and demos that can be played on all headsets! Browse the app store of the company to see what you can get as a priceless goodie.